Council has operated the cemeteries within the Townsville region since 2010. The mainland cemeteries are located at Belgian Gardens and West End. The Townsville War Cemetery is situated within the Belgian Gardens Cemetery. Manton Cemetery is a small cemetery located west of Townsville. There is also one historic cemetery located at Magnetic Island. Complete our online enquiry form at the bottom of this page. The Belgian Gardens Cemetery provides for monumental and lawn interments. Cemetery Opening Hours: Daily from 6am to 6pm. Townsville War Cemetery was originally acquired by the Army who carried out considerable development before it was taken over by the Commission. It contains 222 Second World War burials. Further information on the Townsville War Cemetery is available through the Commonwealth War Graves website. Surveyed in 1865, West End Cemetery was Townsville’s first official cemetery. It wasn’t officially gazetted as a cemetery reserve until 1872 however the burial ground was in use from at least March 1868. The earliest burial records for the cemetery date from 1873. This Heritage listed cemetery has no plots available for new burials. This cemetery is no longer available for new burials, however the cemetery has Niche Wall facilities for the interment of ashes. Manton Cemetery is a small cemetery located off the Flinders Highway near Woodstock, West of Townsville. The Townsville Cemeteries Statement of Principles has been developed to provide a consistent approach to the operation of cemeteries owned, managed and maintained by Townsville City Council. These principles apply to all individuals, organisations, businesses and council staff who enter a cemetery under Townsville City Council’s control. Near the Quarantine Station located at Cape Pallarenda Conservation Park, lies a small historic burial site. For more information visit the Department of National Parks, Sport and Racing - About Cape Pallarenda website. Although a cemetery was never officially gazetted, it is thought that the Town Common may contain several graves, although the location of the graves is unknown. Arranging a funeral can be an overwhelming experience for many people. To arrange a funeral, you should contact a Funeral Director who can assist you to arrange all aspects of the funeral including burial, cremation and memorialisation options. Your Funeral Director will work closely with our cemeteries staff to make the necessary burial arrangements, on your behalf. Many families choose to benefit by planning ahead and securing a position in the location of their choice. This can provide peace of mind and also means that your family members will not have to make this difficult decision at an emotional time. If you wish to reserve a site at our Belgian Gardens Cemetery please contact Council on 13 48 10. The following forms relate to grave/site reservations, and burial matters. The Traditional Burial Acknowledgement applies when a family requests to backfill a grave in accordance to their tradition. To be completed when applying for the construction of a Plaque with base on Lawn area, Headstone, kerb and ledger/or concrete top or other monument. Right of Burial Application form to transfer certificate of grave/site. To be completed by right of burial holder and applies to unused plots only. This is an application for the exhumation of a Deceased person’s body or their cremated ashes in a Townsville City Council controlled Cemetery. The current fees and charges relating to interment costs with Townsville Cemeteries. To perform a name search within one of the PDF documents listed below, press ‘Crtl + F’ and type the name in the pop up search. **Although every effort has been made to ensure the accuracy of the information, records contained herein are compiled from official Cemetery records, some of which are over one hundred years old and therefore their complete accuracy cannot be guaranteed. 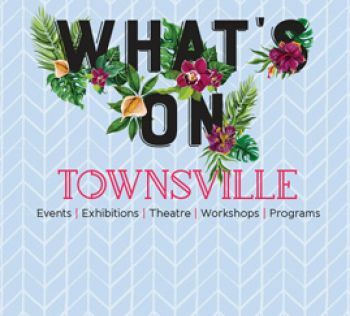 Every attempt is made to keep the information up-to-date and accurate, however, Townsville City Council makes no warranty, guarantee or promise, expressed or implied, concerning the content of these documents. Note: **Townsville City Council does not hold records of ashes interred at crematoriums. Researchers would need to contact the relevant crematorium for information relating to these records.